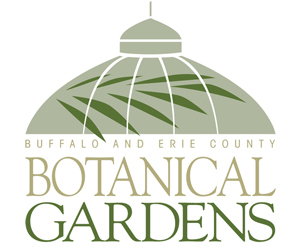 Buffalo-NiagaraGardening.com > Garden tips > Wild weather– Should we worry about our Buffalo gardens? Wild weather– Should we worry about our Buffalo gardens? Last week the temperatures were in the single digits. This week it may be in the 50s or even 60s. Should we Western New York gardeners be worried? “I’m probably more concerned that folks don’t have much snow cover,” said John Farfaglia, extension educator with Cornell Cooperative Extension in Niagara County. Snow is a good insulator and can protect plants against damage that can come from these wild fluctuations in temperature. This is the second year in a row that Western New York is seeing below-average snow cover, Farfaglia said. When we talked yesterday, he noted that Lockport had only two to three inches on the ground, and much of the City of Buffalo and surrounding towns had similar conditions. Areas to the north of Lockport and to the south of Buffalo got some lake-effect snow and did have more snow on the ground, but even they will lose their snow cover if we have temperatures hovering in the 40s, 50s and 60s. If this warm spell is followed by a sudden substantial drop in temperature, some plants could be damaged. Plants that are more sensitive and in jeopardy of damage are any plants that are suited for a warmer growing zone. “Gardeners are optimistic,” Farfaglia said. 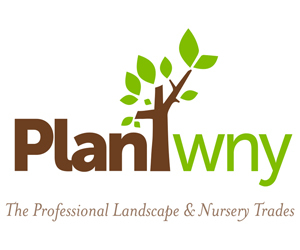 They may choose a plant that needs warmer conditions and place it in a protected area of their yard. Under ideal conditions, it may survive. Unfortunately, this year it may not. For example, rosemary plants should be brought inside over the winter. Farfaglia forgot about his rosemary plant last year, but it was in a protected area very close to the house. It made it through the winter. This year, his plant isn’t in a protected area. It was fine two weeks ago, but now it’s not looking so good. 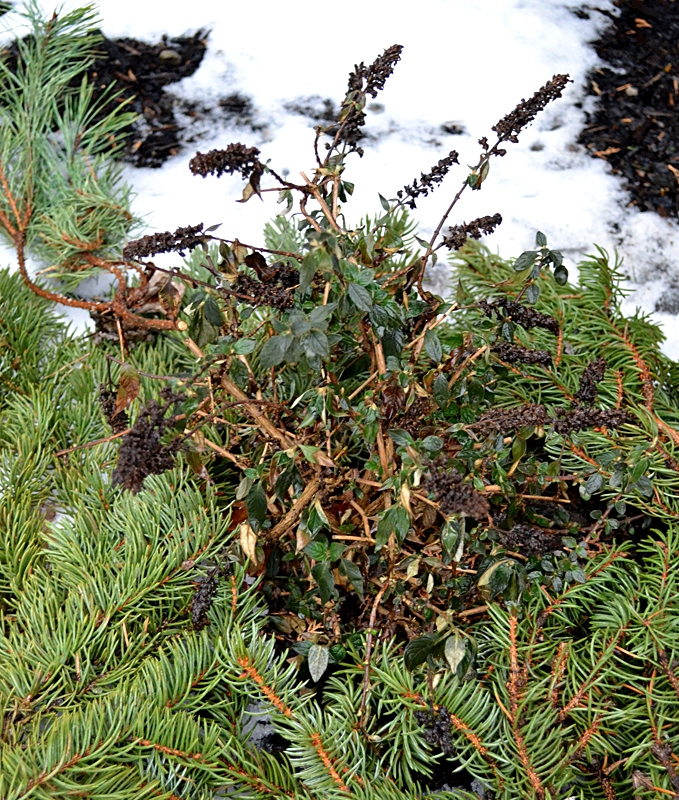 Other plants that might be damaged are broad-leafed evergreens such as rhododendrons, which might be susceptible to drying; evergreen groundcovers; anything planted late in the fall that didn’t have a chance to establish itself, and tulips or perennials that have pushed out of the ground and may have progressed more than they should have. Try mulching your plants. This is something you should have done in the fall, but it’s not too late to do it now, Farfaglia said. You don’t have to use bark chips or traditional mulch products. If you still have your Christmas tree, cut branches off and set them around and on top of plants. You can also cut a branch or two off a mature evergreen. Farfaglia assures us that it won’t hurt the tree to prune it at this time of year. The branches will provide a little extra insulation for your plants. If this warm period is short, just two or three days, it shouldn’t be too harmful. It’s not unusual to get a thaw or two each winter, he pointed out. It would be worse if this warm period lasts two or three weeks. The ideal weather for our gardens is for the winter to be on the cool side, Farfaglia said. From the beginning of winter, temperatures should gradually decline, then at the mid-point, temperatures should gradually rise. Ideally, daily or weekly temperatures should be consistent without extreme fluctuations. “We’d rather have it be boring,” he said. This year isn’t as bad as last year, which had more fluctuations, more days of above-average temperatures, and even less snow cover. “It didn’t seem like we truly had winter” last year, Farfaglia said. Plus, we had hot weather in the 80s in March, which tricked plants into leafing out. But that was followed by freezes that damaged plants and trees. If these weather conditions form a pattern over the next few years, we may need to consider selecting plants that aren’t as sensitive to the freezes and thaws, he added. It has been a roller coaster here, no? Glad I missed it, but today’s wind is wild. John is so right on his weather assessment. Our winters should be cold. 64° was a shock after 5°. Most plants look like they weathered it well though. I did not get a chance to see much of the garden since I only returned to Niagara Falls yesterday though.